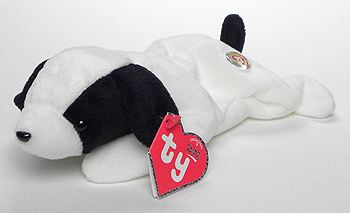 Spot without his body spot was one of the original nine Beanie Babies. 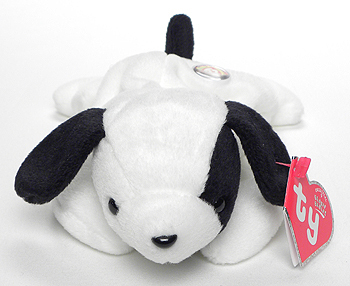 He was subsequently replaced by a version of Spot with a spot on the body. Chocolate, Flash, Legs, Splash, Squealer, Pinchers, Cubbie, light pink Patti, Spot with a spot, or this rarer Spot without a spot.